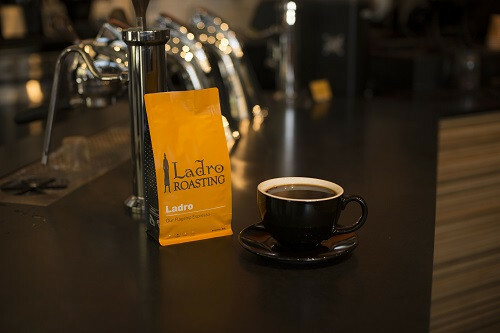 Anyone looking for high-quality coffee in Seattle should make a beeline for Caffe Ladro. Through its determination to sell coffee made only from the best quality beans, it’s become a local darling with a strong online presence. While Caffe Ladro started as a retailer, it’s become a thriving coffee chain with fifteen locations. Unlike most successful chains, however, each retains a sense of individuality. “We didn’t start off with the goal of having fifteen cafes,” says Kelly. “We just started evolving and opening another one and another one. Every time we opened a new café, it was in a new neighborhood, and it was a different time.” For example, when the first café opened in 1994, Seattle was deep in the grunge scene, and the café reflected that with things like plaid walls. Newer locations have a brighter, more modern decor, but he assures that the vibe and how they connect with people is still the same. The question is, what makes good coffee? “The answer is everything because there’s so many different steps in coffee, which makes it so intriguing.” From where the bean is sourced to how it’s brewed, every step is vital to making Caffe Ladro’s coffee memorable. “We’re searching for the greatest coffees we can find. 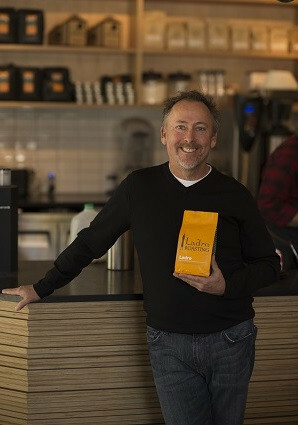 The coffees that we’re looking for have sweetness and acidity, which provides a sort of tart and citrus flavors to cut through the bitterness,” he explains. Non-coffee drinkers shouldn’t worry about being excluded. “We have some really great teas that are curated by a local tea specialist, B. Fuller’s,” he says. There’s also the Medici, which is one of their signature drinks. “If you’re not a big coffee drinker but love coffee ice cream and the smell of coffee, this is the drink for you.” Their bakery also makes excellent pastries and desserts like fresh cherry chip scones and twice-baked almond croissants.